Engines are the “heart” of any vehicle. If your engine is failing or has failed, your car or truck may not get you where you need to go. Despite how important they are, engines can be recycled out of another vehicle that has been in and accident. Because of normal traffic accidents, millions of vehicles are taken off the road yearly way before the engine and other parts are worn out. 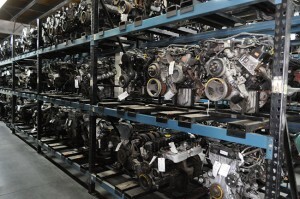 What you need to know is that quality auto recyclers, like those found within nnawg.com, take the time and labor to verify the condition of the engine before it is sold. Normally we check all the fluids and restart the engine while its still in the vehicle before it is dismantled. By running the engine in the car we are able to listen for obvious issues and make sure the engine runs clean. Then after the engine is pulled out of the vehicle we restart it and run a compression and an oil pressure test to insure that the engine has plenty of life left in them. Then unless noted, all of our engines carry an 90 day warranty. So unfortunately you may loose an engine in your vehicle at some point and time, but you dont have to trade it in or go out and buy a new car. Just contact one of our knowledgeable staff at nnawg.com and will get you set up with a quality engine that will fit your budget.